Professional company with nice service and high quality and high reputation. Thank you! standard exporting package or as per customers' requests. within 30 days or as per customers' requirement. → Features: Various specification, it use difference color to distinguish the medium. 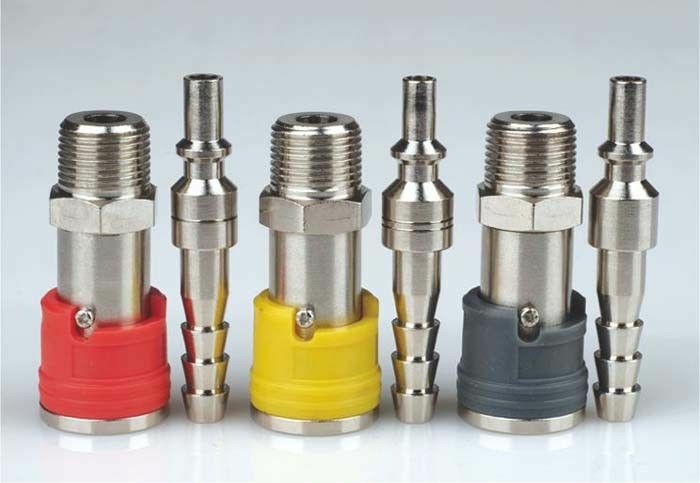 Red coupling is used for acetylene; yellow coupling is used for carbon dioxide; gray coupling is used for oxygen. It is widely used in Japanese market. → Advantages: Single hand operation. Japanese type. 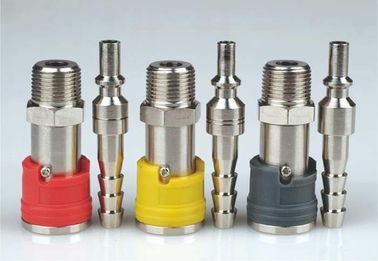 → Application: Shipbuilding, repairing and other industry system need to avoid wrong connecting. 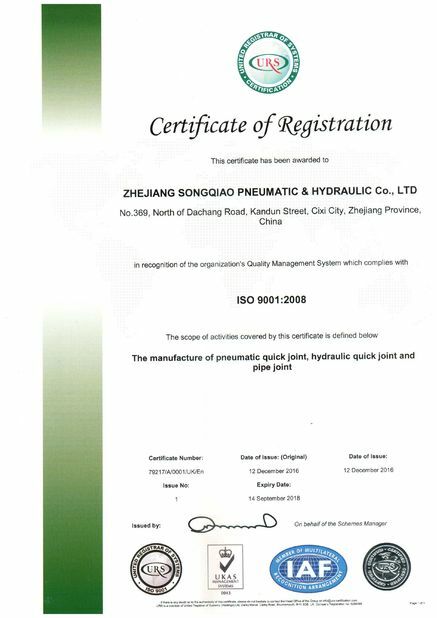 Zhejiang Songqiao Pneumatic And Hydraulic CO., LTD.
China Good Quality Hydraulic Quick Connect Couplings Supplier. Copyright © 2018 - 2019 quick-connectcoupling.com. All Rights Reserved.